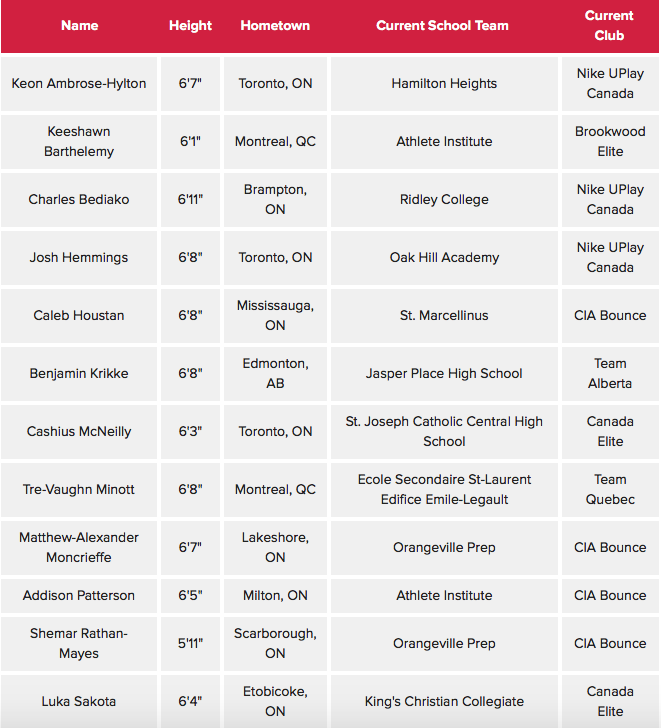 Canada Basketball has announced its selection of 12 athletes for the FIBA U17 World Cup. The upcoming event is hosted in Rosario and Sante Fe, Argentina from June 30 - July 8, 2018. Last summer, Canada's U16 team earned a silver medal at the FIBA U16 Americas Championship 2017 in Formosa, Argentina. This years team will begin completion on June 30 at 2:15 PM ET.